Perhaps you've heard of former Luzerne County, Pennsylvania Judge Mark Ciavarella Jr., an objectively evil person who took bribes to send kids to private prisons. The good news is that he's now going to jail! Sadly, he'll only be there for 28 years. 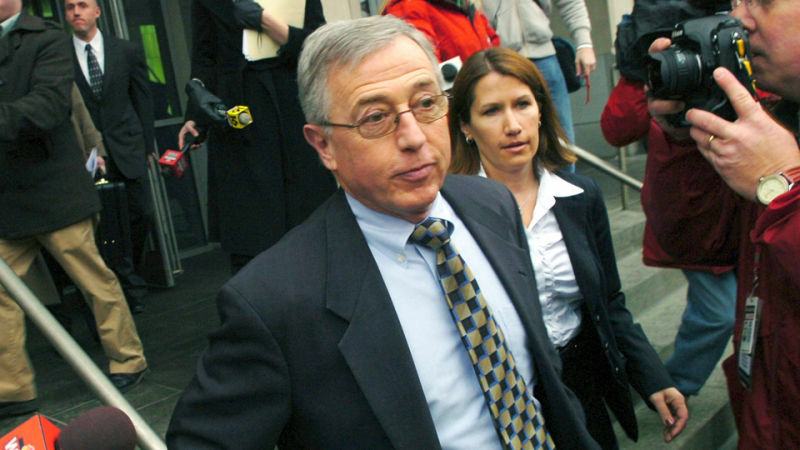 Ciavarella, known for his harsh and autocratic courtroom demeanor, pocketed the cash while filling the beds of the private lockups with children as young as 10, many of them first-time offenders convicted of petty theft and other minor crimes. Ciavarella often ordered youths he had found delinquent to be immediately shackled, handcuffed and taken away without giving them a chance to say goodbye to their families. The Pennsylvania Supreme Court had to overturn 4,000 convictions of kids that Ciavarella issued between 2003 and 2008. Bye bye, evil judge from Hell!